Speaking of robots, it may remind you of R2-D2 in Star War, however, it doesn’t feature with making phone calls. You will be soon able to make phone calls to friends with a robot. Sharp debuted a robot phone called RoBoHon. It looks fantastic and is able to pack in a packbag. Sharp displayed the prototype of RoBoHon at MWC in Barcelono in February. This RoBoHon was released in Japan on May 26, selling at minimum 12,000 yuan. It will be introduced to more countries in the near future. This RoBoHon is made by Sharp and Tomotaka Takahashi. RoBoHon could completely replace the traditional smartphone as it could insert the SIM card and dial phone without connecting the mainstream device. Besides making phone calls, this device is able to receive and send emails, download apps. It is designed with a 2.1-inch touch screen on the back of RoBoHon so that the users could manage the operation. The device could respond the voice demand. It could dail phone calls when users require or walk to users when there are calls in. Users could use RoBoHon to take photos as one of its eyes is embeded with camera. When the photo is taken, RoBoHon will bend to reflect the photo with the proejction component set on the forehead on the floor or other flat surface. RoBoHon runs Android 5.0, equips with 2.1-inch LED touch screen, RAM 16GB. It supports 3G/LTE and Wi-FI. Even though it is a bit expensive, its features will be great experience for users. Sharp predicted that it will be able to sell 5,000 RoBoHon each month. Will Apple set a cheaper price for iPhone in the future? 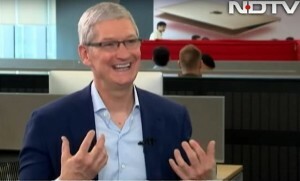 Tim Cook was interviewed by Vikram Chandra of NDTV concerning sales decline of iPhone. Vikram Chandra asked Tim Cook whether it is worth having a iPhone with higher price in other countries out of US. Apple only charges about $ 600 for a new iPhone in US. According to its last quarter earnings report, the sales volume of iPhone declined by 16%. In the meantime, Android smartphone rival users share in all iPhone markets. The experts predicted that iPhone sales volume in 2016 will decline continually. Concerning the question that Vikram Chandra made, Cook admitted that it is over charged in Indian market. He claimed that the firm will consider decreasing the price of iPhone in the future. He said:” I am aware of the higher price of iPhone. We are adjusting our policy now. We believe that the price of iPhone will be set at an affordable price in the near future.” Cook implied that high selling price of iPhone will lead to fewer sales performance in this January. Even though iPhone is sold at about $600 in United States. There are different prices for iPhone in oversea due to the fuctuations of exchange rate and localized tax system. For example, iPhone is sold at $931 in Brazil, $784 in India, $671 in UK. iPhone is much expensive in comparison with Android smartphones that with similar functions. According to the data that made by Deutsche Bank, the price for iPhone in US this year is about $ 600, while sold at $931 in Brazil. It is 1.56 time of the native price. It sells iPhone at $865 in Indenosia which is 1.45 time of American price. In the meantime, the selling prices in Italy, Danmark, Finland, Belgium, Netherlands, Germany, France and Australia are all over $700. Speaking of the selling price in China, it sells about $ 693 this year. Cook claimed the customs and local tax system make difficulties for decreasing the price of iPhone. It faces challenge and pressure to make profit in Indian market. 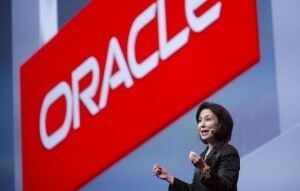 Safra Catz, CEO of Oracle received an annual paid at $56.9 million in 2015 fiscal year. She became the highest paid female director in US. The figure was made by Bloomberg Pay Index. The Index counted the top 200 highest paid female directors among American listed companies and concluded their Pay Index in that year. Besides regular stock bonus and $1 million basic salary, Catz was awarded with $10.5 million special stock right in 2015. Ruth Parot, the CFO of Alphabet who used to work for Morgan Stanley was the second highest paid female director. She obtained the total amount of remuneration at $41.1 million, including $ 5 million setting-in allowance. The third highest paid female went to ,Mary Barra who is the first female CEO in vehicle industry. She got $36.3 million last year. She once worked for GM as product development manager and was appointed as GM CEO in 2014. There are 17 female directors ranked in the Bloomberg Pay Index, 15 of them are CEO of S&P 500 stock index companies. Eric Hoffmann, vice president of Farient Advisors claimed that these female directors obtain relative higher pay as their salary is connected with companies performance. Once the females work in the senior management group, their salary will be relatively higher than some male directors. Catz was appointed as Oracle senior vice president in 1999. She even served as co-CEO and CFO. Catz is responsible for finance, manufacturing and legal affairs. Catz’s remuneration is the same as another Oracle co-CEO Mark Hurd’s. 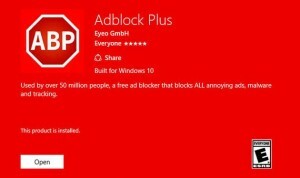 Germany Eyeo CEO Till Faida announced on Monday that the downloads of AdBlock Plus approach near 1 billion times. So far, this software has been installed on 100 million active devices. The development of ad-blocking software forces the medium and publishers seek new channel to make profit. AdBlock Plus is the leader in the ad-blocking field. Eyeo revealed the downloads of AdBlock Plus were 500 million times earlier this year. Its active users were 50 million. Judged by this figure, the ad-blocking business received rapidly increase. Faida claimed the downloads of iOS apps and Android apps added up to 10 million times. He stated at Drisrupt NY 2016 that there were some mistakes existed in the advertising industry. Eyeo helps the advertising industry to reset its environment and offer better experience regarding the advertising issues for users. He explained many of users do not hate ads actually. However, they hate the intrusive ads which bother their surfing. Therefore, the company launched the Acceptable Ads project to avoid the interference of irritated ads and select some well-performed ads for users. The project targeted the large-scale enterprises and offered them 10 million times of displaying their ads. Eyeo charged those enterprises subscription for AdBlock Plus service. The amount depended on 30% of their traditional advertising revenue that obtained via white list per month. Faida did not reveal the revenue that AdBlock Plus brought. He suggested that among American top 100 websites, there were 40 of them displaying the page of Acceptable Ads. It is reported that the market share of Windows 10 on the basis of all Windows desktops will increased to 20% by the end of June. 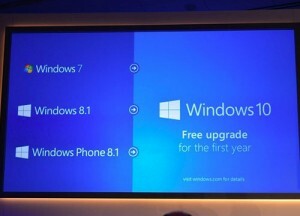 It is estimated that Microsoft will make another important Windows 10 update then. Net Application report showed that the user share of Windows 10 in April was 15.3%, increased by 1.2% compared with March. The growth rate of Windows 10 in April slowed down a bit in comparison with January and March, but increased faster than February. Windows 10 accounts for 17.3% among all Windows systems. The reason why Windows user share in pc is different from the ones in all Windows systems is that Windows systems only account for 89% of market share instead of 100% in all personal computers. Based on the statistics Net Applications released in the past 12 months, the user share of Windows 10 in destops will increase to 20% by the end of June. The Windows 10 system will serve over 300 million computers then. Microsoft claimed the devices that run Windows systems have been over 1.5 billion sets. With reference to Net Application statistics, the number of devices that run Windows 10 are about 259 million sets. In other words, Microsoft only obtained 24 million devices that run Windows system in April. The stastics made by StatCounter indicated that the user share of Widnows 10 in April was 17.9%, increased by 1.4% than March. Its statistics were calculated with global user share. The performance of Windows 10 growth did better in United States. Digital Analytics Program claimed that Windows 10 accounted for 23.7% of user share in all Windows personal computers in April. It increased by 2.8% in comparison with March. In the meanwhile, Net Applications assumed Apple OS X user share will be increased to 9.6% among global personal computers market share. Windows systems share will drop under 90%.